This camera will not only provide you with information about the critters within the woods, but some have found that these are perfect for surveillance. 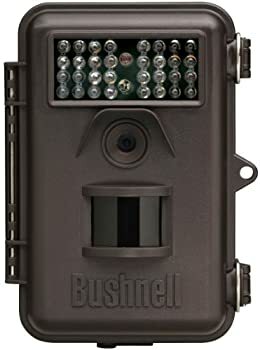 The Bushnell 6MP Trophy Cam Essential Trail Camera with Night Vision comes in black to ensure it is easily placed out of sight and is incredibly affordable for the high quality of the product. Whether you are tracking the patterns of wildlife in the woods or keeping an eye out for those who wish to damage your property, the Bushnell 6MP Trophy Cam Essential Trail Camera with Night Vision is an amazing product that will help you reach your goals. With the 6MP full color resolution and high quality of the images it produces, this camera works wonders during the day as well as at night. The motion sensor can also reach out to 45 feet as well as perform a scan to take photos at preset intervals. The trigger speed of this camera is programmable and is automatically set to .8 seconds to best capture the movement that it sees and provide you with a clear image. The battery life of this camera is approximately one year and requires the use of AA batteries to allow it to perform properly. 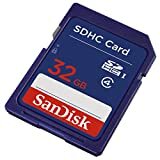 You will also feel secure with the ability to expand the memory of this camera through the use of an SD card and that it is both weather proof and durable against a wide range of temperatures. The Bushnell 6MP Trophy Cam Essential Trail Camera with Night Vision can withstand temperatures between -5 and 140 degrees F.
Customers are completely loving the Bushnell 6MP Trophy Cam Essential Trail Camera with Night Vision as it performs exactly as it should for many of the customers who have purchased it. 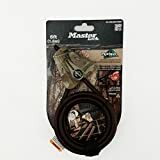 Many customers who have purchased this trail camera are more than happy with it and have even run it through the full life of the batteries to capture the wandering wildlife in the woods nearby. Some customers have even said that they have yet to get any false pictures or have any of the problems that other trail cams have provided them. One customer even pointed out that even though the camera takes 8 AA batteries, you can actually operate it on 4 as you may not have 8 AA batteries around your home or not need the full extended battery life. Another customer even said that the price is perfect for the product making it not only one of the most affordable camera on the market but also the highest quality within its price range. Some customers were very upset after purchasing this camera as it doesn’t come with batteries or an SD card, others were even upset by the lack of a USB connector or DC power cord. While these things need to be purchased to properly use the camera, some customers found that the lack of these items within the package of the product was a complete let down. Another customer even pointed out that there is a little glitch with the date/time stamp that needs to be patched on the Bushnell website. While this has upset many customers, many people had no issues with the lack of the items or that the firmware of the camera needs to be updated. Even with all the pros and cons of this camera, it is still an excellent product that will provide you with beautiful photos of the wildlife you wish to track. While there are a few items that are missing or not provided with the camera, the quality of the photos that it takes and ability to fix the firmware make it an excellent option for those who wish to find an affordable trail camera that is not only easy to use but allow you to properly track the wildlife. This camera will certainly help you keep track of patterns in the woods and ensure you won’t miss a thing.